AviSplit is a free and easy-to-use tool that enables you to split an AVI/Dvix file into multiple parts. 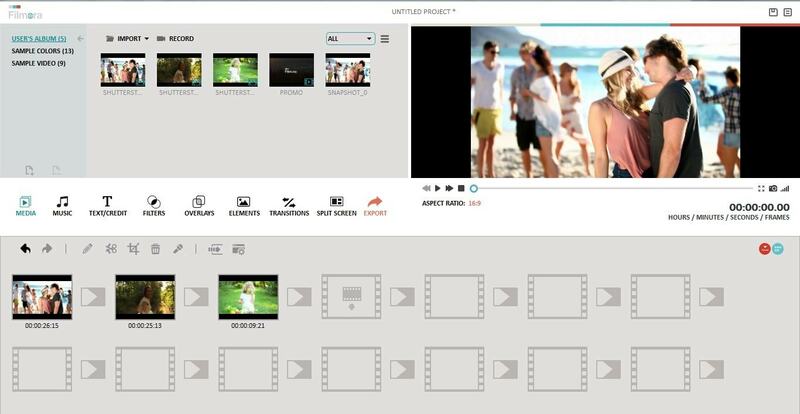 With it, you can easily split, cut or mix clips together with no quality loss. However, chances are you need to deal with other video formats like MOV, WMV, MKV, MPEG, MTS, DV, FLV, etc, or you want more edits like trim, crop, effects, transition, etc. 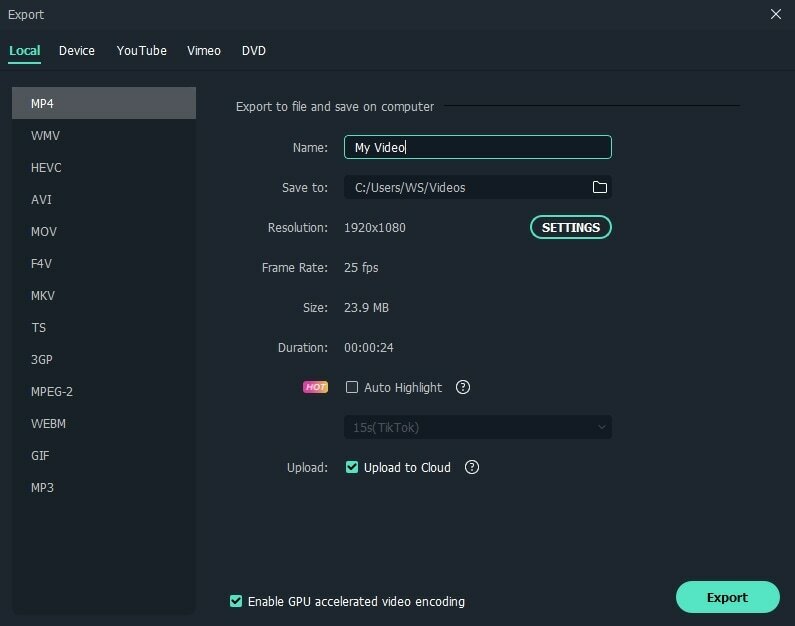 If this is the situation, AviSplit Alternative: Wondershare Filmora Video Edior comes a handy tool with all editing features you need. This great app enables you to deal with AVI, FLV, MKV, MP4, M4V, MOV, M2TS, WMV, MPG, MPEG, VOB, ASF, DV, DIF, NUT, H261, H264, NSV, DAT, EVO, RM, RMVB, TS, TP, TRP, DVR-MS and audio files like MP3, WMA, AAC, AC3, WAV, MKA, M4V, M4A, APE, AIF, AIFF, FLAC, APE, CUE, AU, AMR, OGG, DPE, MPA, MP2, RA. In a word, it's powerful. For the detailed supported formats, please check Supported Format List. In this tutorial, I'll take AVI for example and show you how to split files. Also I'll introduce this AviSplit Alternative's more other editing features. Get started now. Add files you want into this AviSplit Alternative’s album. Simply hit the “Import” option on the main menu of the interface to navigate to your wanted video files and then import them. Or directly open the folder where your video files are stored on the computer, then drag them into this app’s album. Drag the file to the Timeline and then you can split the video file here. To do it, first drag the top of the red Time Indicator to put it at one point you want, and then click the Scissor button to split it into two parts. Repeat the operation again and again, so you split the video file into all of your wanted clips. After that, you can delete your unwanted clips and then import the rest ones into a single file. In this way, you can split the file to the segments you want exactly. If you want to split a big file into several files, you need to save all clips for backup purpose after you finish the splitting job. Then, import the saved project again and again to export the only one clip each time. Click the “Export” button and then select an output method in the popping-up window to export the new file. If you still want to keep the file in the original format, just go to “Format” category to select your wanted format.